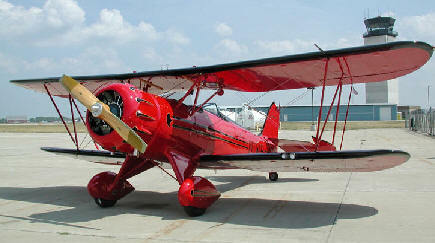 May 18, 2010 – WACO Classic Aircraft Corporation of Battle Creek, Michigan announced that the FAA has given approval of the new WACO YMF 5-D model aircraft. The updated aircraft is a culmination of nearly two years of engineering, development and testing. The new D-model aircraft offers an unrivaled flying experience, combining pure flying fun in a serious performance aircraft. The WACO YMF is a new production, FAA and EASA certified aircraft, it's built new from the ground up to customer specifications, including color and paint scheme, leather and carpet, and avionics equipment. The WACO YMF 5-D model, features a new 300 H.P. Engine, MT elliptical tip propeller, standard JPI EDM-930 Color engine analyzer, Garmin GLASS panel IFR instrument packages, upgraded landing gear design, with inner cowl vents. The aircraft also come with a new circuit breaker location and panel, new instrument panel design with vibration isolators, improved interior design – Deluxe Leather & upgraded carpets, Longer 1400 Hour TBO with 50 hour oil change interval and much more. "In 1983 the founders of Classic Aircraft Corporation envisioned many childhood dreams coming true with the reincarnation of the WACO YMF. In the history of aviation, no company had ever taken a fifty-year-old design and manufactured it new, under the original FAA type certificate. To accomplish this mission, Classic hired experienced engineering talent from Piper, Taylorcraft and Ford. While maintaining the sanctity of WACO's incredible design, this team of proven professionals modernized the aircraft with over 300 engineering changes, redrew over 1400 drawings, and built new tooling for production. The first WACO YMF Classic rolled off the assembly line and received FAA certification under the original WACO type certificate in March of 1986. Over 5000 labor hours of fine craftsmanship hand-built into each aircraft has resulted in the WACO YMF being described as an aeronautic thoroughbred. The WACO is not a rebuild or a kit plane, but a brand new FAA certified production aircraft, with such improvements as the use of sturdy 4130 steel for the fuselage frame, modern hydraulic toe brakes and the latest avionics. In 1991, the first WACO YMF Super was introduced, offering the modern day barnstormer some additional improvements such as more internal width, more legroom, increased useful load, a balanced rudder and large front entry door. The new WACO has been greeted with unabashed enthusiasm for craftsmanship, quality and the pure fun of true flying. Todays production aircraft offers a complete array of updated features, making it the finest sport biplane anywhere. The WACO YMF Super will fly into your heart and provide you with a lifetime of pure flying fun and memories. "